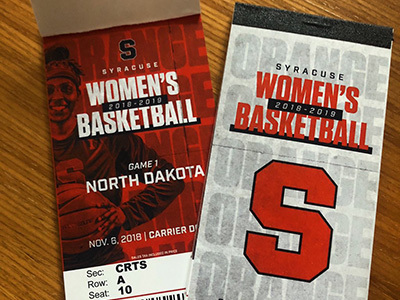 Tuesday, Nov. 6, is Faculty and Staff Appreciation Day for Syracuse University women’s basketball. The Orange takes on North Dakota at 3 p.m. in the Carrier Dome in the team’s home opener. Individuals who show their SUID will receive one free ticket. Tickets may be redeemed at gates A, B and C.